Kathmandu is the nerve center of Nepal and Nepalese Tourism. The major attractions of the Kathmandu Valley are the Palaces, temples, museums and pagodas along with the outskirts suburban short hiking upon the Shivapuri National Park and Nagarjuna hill. The gateway to this amazing historical, cultural and natural Himalayan country, Kathmandu offers the unique culture of Newar people and the architectural master piece. Kathmandu Day tour includes the heritage and historical World heritage site listed Kathmandu Durbar Square (palace square) walking experience. The oldest palace is very famous among locals and tourists as it used to be the epicenter of Old Nepalese Monarchy. The effect of 2015 earthquake on heritage buildings can be fascinating & resourceful for visitors. The Buddhists’ holy places designated by UNESCO like Boudhanath and Swayambhunath along with the famous Hindu temple Pashupatinath can be witnessed in this tour. Thamel area of Kathmandu serves you eateries and shopping outlets. 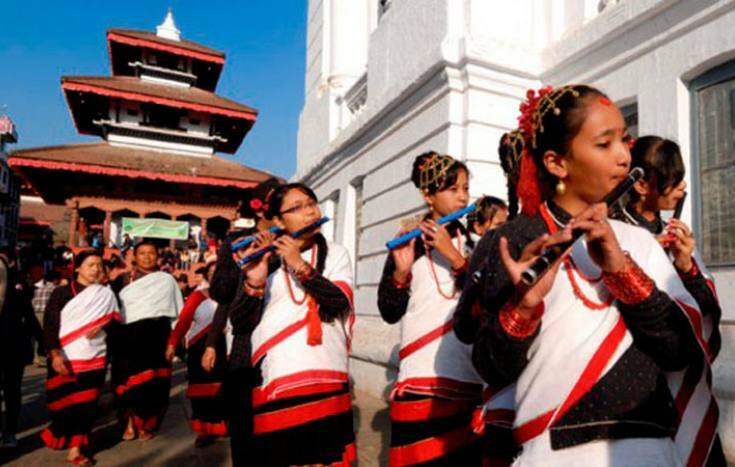 Witness the culture, tradition and history of Kathmandu through this Kathmandu City Day tour. Dinner in Bhojan Giriha with culture program. Backpacker Treks tour map and trip achievement certificate. Tips to staffs. After working everyone expect some Tips. We don’t mention fixed amount. Day 01Pick up from the airport and transfer to hotel. Day 04Early in the morning sunrise view and after breakfast drive to Changu Narayan one of the oldest temple of Lard Narayan and one of the oldest tempale of the valley drive to Hotel.